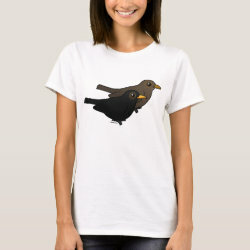 The Blackbird is a thrush that lives in Europe, Asia and North Africa. 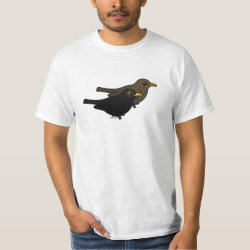 Males are all black with yellow bills, while females and young are mostly brown. 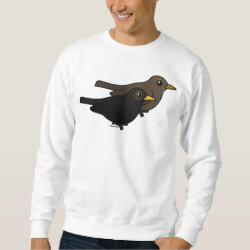 The Blackbird is a common backyard bird in Europe and has a melodious song. 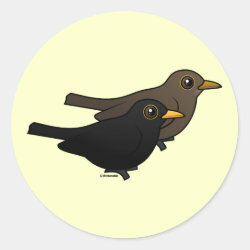 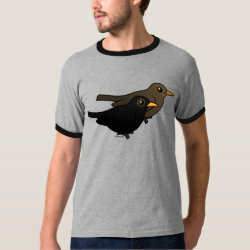 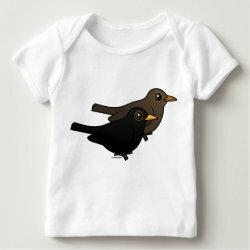 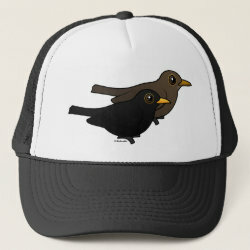 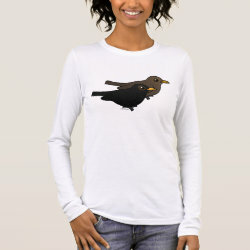 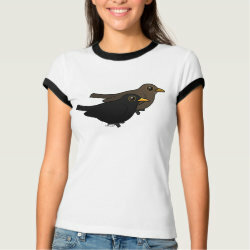 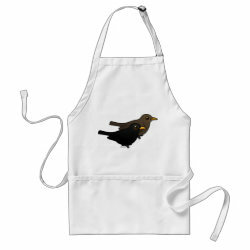 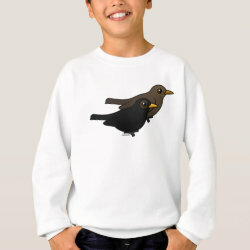 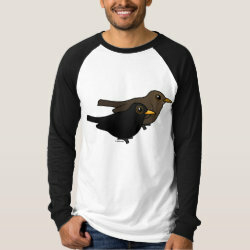 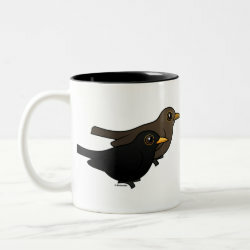 This totally cute design is of a male & female Blackbird.